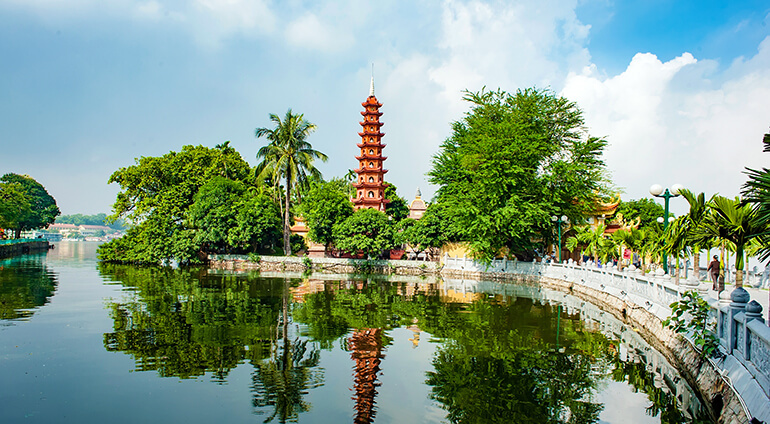 The three months from October to December are arguably the best time to visit Hanoi, thanks to the warm days and lower humidity, although it can be cold at night during these months. January to March can be less attractive, as cold winds from China and high humidity result in a fine mist that often lingers for days. March and April are popular moths to visit, before the extreme summer heat arrives in late April. Monsoon storms arrive in May, June and July, peaking in August and can last until early October, causing floods and making it harder to travel further afield.